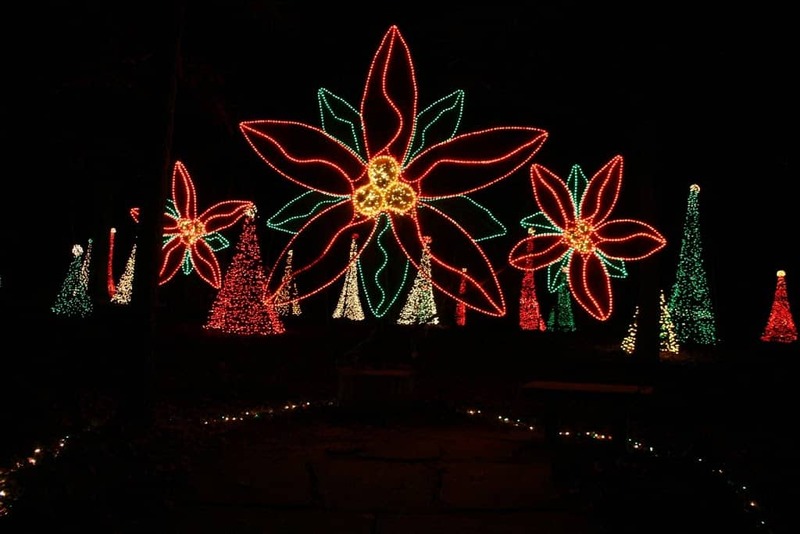 When we opened our Hot Springs Bed and Breakfast, the first thing everyone told us was, “You’ve got to see the Christmas lights at Garvan Woodland Gardens!” While the gardens are beautiful all year round, they take on a magical transformation during the holidays. Between Thanksgiving and New Year’s Eve, you can enjoy nearly two million “Lights on the Landscape“. There are butterflies in flight, a life-sized locomotive, and a gingerbread house. You can stroll down Candy Cane Lane, through a forest of Christmas trees, and experience the tranquility of the Garden of Pine Wind. Several concerts will be offered throughout the season, as well as an occasional visit from Santa! The Gardens are open from noon to 9pm. 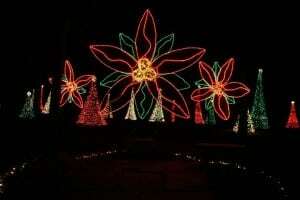 Special admission rates apply at 5pm when the lights are turned on. They will be closed Thanksgiving and Christmas Days. This entry was posted in area attractions, Events, Hot Springs Attractions, things to do in Hot Springs by admin. Bookmark the permalink.